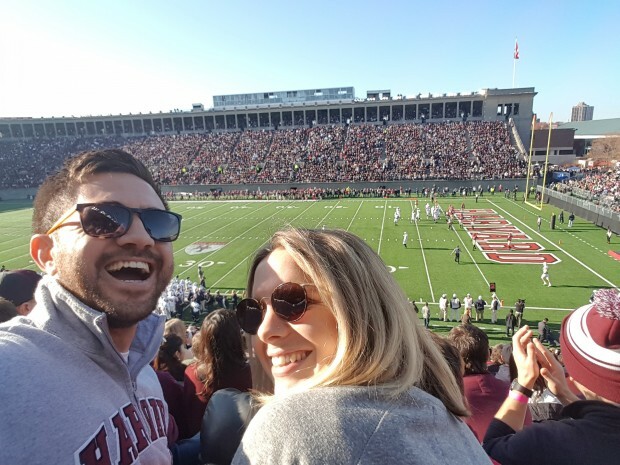 Mataroria Lyndon (Ngāti Hine, Ngāti Whatua) from Whangarei is using his 2016 Fulbright Science and Innovation Graduate Award to complete a Master of Public Health in Health Policy and Management at Harvard University in Boston, Massachusetts. Mataroria graduated with a MBChB from The University of Auckland in 2011. I came to the US to learn about a healthcare system that is completely different to the one in New Zealand. I am learning about how the system is shaped by its history, how major legislations such as the Affordable Care Act were implemented, and how I can bring some of these ideas back home to improve healthcare access and address chronic diseases. Since coming to the US, I’ve had the opportunity to explore research about ethnic disparities in health in the US, while refl ecting on our policies and actions needed to close the gaps for Māori. During my time here, I’ve also learnt how to craft policy recommendations about challenging issues in healthcare such as physician assisted dying, managing Zika virus outbreaks, increasing immunisation coverage, and reining in the high cost of prescription drugs, among other things! My Fulbright has offered me a rare chance to understand and refl ect on a health system that is foreign to my own. It is these experiences that are shaping my thinking about the strengths and weaknesses of the NZ health system. I hope to one day take a lead role and be an advocate for improving health care in my own country. Since commencing my Fulbright exchange, I’ve had many other Māori students contacting me to express their interest in studying in the US, and the steps needed to apply. It was after I met other Fulbrighters (Catherine Yang, Kiri Toki, and Kingi Snelgar) and heard their journeys, that I was inspired and felt it possible to apply. I hope I can be that same person for many more Māori, that they feel it is possible – to pave the way for future Fulbrighters.